We homeowners all know about the real wonders of Brunswick. We’re a friendly, welcoming village with a small-town atmosphere and almost rural feel. We have all the advantages of real Americana while still being a premier bedroom community to the high-energy “big city” Cleveland. We dine and shop here and just down the road in charming Medina. Indeed, Brunswick is a great place to live and raise our young families (our median resident age is just under 40!). Our home-buyer clients are quick to absorb these advantages when we discuss the high quality of life especially when coming from Cuyahoga and surrounding counties. As advantageous as these facts are when we think about listing our home for sale, there are other factors at work that make this the ideal time to put your home on the market. One of the most significant is that Jerome Powell, Chairman of the Federal Reserve System (the Fed), indicated that he would advocate with the Board to raise interest rates about 4 times just in 2018! His reason is that our terrific, robust economy could bump up inflation, and higher interest rates will push inflation down or keep it in check, at least theoretically. Even though the increases will be incremental and relatively small (1/4 point at a time), it is still enough to knock thousands of potential home buyers out of our market’s average price point. The higher the rate, the higher the monthly mortgage payment, and when a family can’t qualify for our market, they’re forced to buy under their real needs somewhere else. Moreover, even if a potential buyer can still qualify, human nature compels us to try to get the lowest payment possible considering it’s an obligation we’ll be locked into for years. Interest rates really have a dramatic impact on when it’s a clear time to list. The next, equally critical factor is inventory – the term we Realtors use for the number of homes on the market at any given time. When inventory is low – like it is right now in Brunswick – the seller gets the advantage of a faster sale at the best price. When inventory is low, there is often haggling, aggressive negotiating for extras, etc. Inventory is a black and white fact, not conjecture. Here’s how we Realtors determine this important information: we answer a hypothetical question when determining the absorption rate for the current inventory of homes for sale: “How long would it take to sell every listed home if no new homes came on the market?” Finding the answer requires using a specific calculation that results in a “months of inventory” figure. Most real estate professionals agree that an inventory of 5 or 6 months is a sign of balanced housing market. More inventory means a buyer’s market is underway and if there is less, we’re in a seller’s market. Which is where we are right now – a housing market with the tightest inventory we’ve seen in more than a decade. 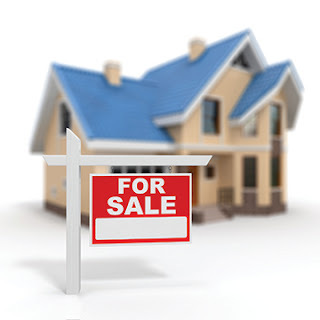 If you’re thinking of selling your home, why are you waiting? With each tick up in interest rates, a certain number of potential buyers leave the pool. If those numbers grow larger, the market will change and prices may begin to come down. Right now, your home value is very strong and buyers are in my car every day looking hard. If ever there was an ideal time to sell a home in Brunswick, this is absolutely it. Many would-be sellers tell us that they’re hesitating because of a fear that they won’t be able to find a suitable replacement home. One last important note: buying a home while trying to sell one can be challenging. We handle these situations every day and can offer brilliant solutions that make the process far less stressful. Please reach out to us if you have any questions about the real estate market here in the heartland of Ohio. We love to talk about real estate!